1. The Village Fugs/The Holy Modal Rounders. Let’s start with a twofer. The Velvets weren’t actually the first band Warhol considered grooming for his productions; their contemporaries in Greenwich Village’s art circles were filmed at the Factory in 1965 as prospects for future Warhol spectacles. The 19-year-old Browne (who had started his career as a founding member of Long Beach, California’s Nitty Gritty Dirt Band) wrote songs and played guitar on Nico’s first solo album, Chelsea Girl. “These Days” is among Browne’s contributions to the record (produced by Tom Wilson, the legend behind the Velvet Underground’s debut album and a Murderer’s Row of other classic records). 3. The Magic Tramps. Stars of the glitter-punk scene that foreshadowed New York’s first-wave punk explosion, The Magic Tramps moved from Hollywood to New York as a vehicle for Warhol superstar Eric Emerson. Starting in 1971, The Magic Tramps played New York hot spots like the Mercer Arts Center, Max’s Kansas City and Coventry. While attributed to a hit-and-run while riding his bike, Emerson’s death in 1975 remains shrouded in mystery. And representing another line from the Factory scene of the ’60s to New York’s ’70s punk explosion: Emerson had a son with Elda Stilletto, leader of The Stillettos, a band that emerged from the Max’s Kansas City scene and served as a springboard for Blondie’s Deborah Harry and Chris Stein. 4. Wayne County. A transgender pioneer now named Jayne County, this transplant from Dallas, Georgia, and in 1969 was asked by Warhol superstar Jackie Curtis to appear in Curtis’ play Femme Fatale, in which County co-starred with Patti Smith. County moved closer into Warhol’s orbit when he asked her to appear in his play Pork, which debuted in New York in May 1971 and also enjoyed an August 1971 run in London. Compiled from transcriptions of phone conversations with his Factory entourage that Warhol had taped, Pork caught the attention of the young David Bowie, who met the London cast and crew and made key connections for his first visit to New York. Building on her theatrical appearances, Wayne County fronted a variety of New York bands — starting with Queen Elizabeth, then Wayne County and the Backstreet Boys, which also featured drummer Marc Bell (soon to be known as Marky Ramone). 5. David Bowie. Since entry #1 in this post, included two acts, it’s only fair that #5 come with a caveat: Despite David Bowie’s admiration for the Velvet Underground and the denizens of the Factory, he and Warhol only met once in their lives — and the chemistry between the two failed to catalyze. Before his own star had fully risen, Bowie’s encounter with the London cast and crew of Pork introduced him to Warhol’s circle, including a number of figures who would prove important to his own operation. Notably, Cherry Vanilla (who starred as Amanda Pork) would become Bowie’s publicist; Pork stage manager Leee Black Childers would become one of Bowie’s most iconic photographers; and Tony Zanetta (who played the Warhol figure B. Marlowe in Pork) would manage several Bowie tours — and introduced Bowie to Warhol when Bowie first arrived in New York. As Zanetta describes it, “We all marched over to The Factory. 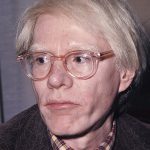 The meeting was kind of tense because Warhol was not a great talker, you had to talk and entertain Andy, and David really wasn’t a great talker, either. Nobody was really taking this conversation and running with it. So they were circling each other and then David gave him a copy of Hunky Dory on which was his ode to Andy Warhol, the song Andy Warhol. Did that awkward reception in 1972 prompt Bowie’s portrayal of Warhol in the 1996 film Basquiat? Knowing the back story, it’s hard not to suspect a bit of payback there.